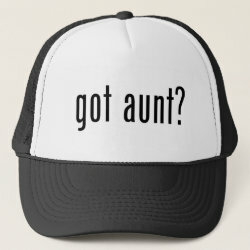 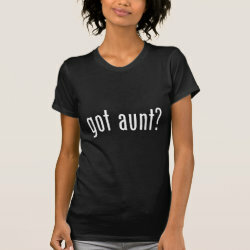 Home > Aunt Gifts	> got aunt? 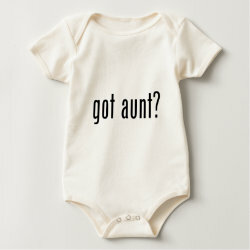 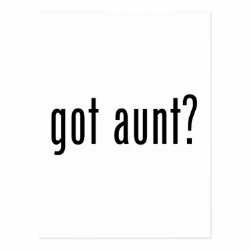 These t-shirts and gifts are great for every aunt-to-be, existing aunts or anyone with a niece or nephew on the way. 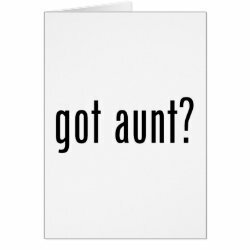 Especially if auntie loves milk! 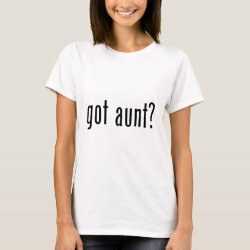 The original milk advertising parody comes to your family with cute got aunt shirts and gifts!